If there was ever a drug that was first considered a miracle drug it is Xanax. People who struggle with occasional bouts of anxiety or have panic attack have benefited from Xanax’s swift action, bringing on feelings of deep relaxation and calm within minutes. In fact, Xanax may work a bit too well, as its effects are registered in the brain’s reward system as a positive experience to be experienced again. Intense anxiety – reach for Xanax – ahhhhh, calm. As with other benzodiazepines, the drug class in which Xanax belongs, they also happen to be extremely addicting, both psychologically and physically. Someone who may have used the drug legitimately finds themselves grabbing the pill bottle more and more often, sometimes at just the slightest hint of stress. They become mentally dependent, believing they just can’t handle stress at all without the Xanax. With a short half-life, these drugs quickly lead to ramped up tolerance, meaning the body no longer responds the way it once did, so doses are increased in an effort to reclaim those initial results. Increased dosing leads the brain to alter neurotransmitters and pathways, leading to physical dependence. Once this develops, it is very difficult to stop taking the drug, as highly unpleasant, even dangerous, withdrawal symptoms from Xanax addiction kick in. When someone wants to end their dependency on Xanax, it is dangerous to just stop taking the drug. 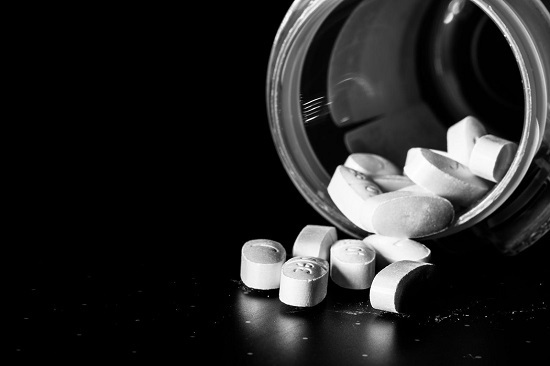 Benzodiazepine addiction is very difficult to withdraw from, as the withdrawal symptoms from Xanax drug dependency can include not only painful physical withdrawal symptoms, but also psychological symptoms. This is why a medically monitored detox and withdrawal program is needed, so the individual safely transitions, through a carefully supervised process, from detoxification to rehabilitation. What Are the Withdrawal Symptoms From Xanax Drug Addiction? Depending on how long the individual was misusing the Xanax, and how high the daily dosing was, withdrawal symptoms can range from moderate to severe in intensity. For those with a longer history of Xanax addiction, it is important to access a medical detox where the drug is stepped down and symptoms are better managed. How Does a Medical Detox Work for Xanax? Medical oversight during Xanax detox is important. This is because in most cases it will be necessary to wean the individual off of the drug through a tapering process. The tapering schedule will be determined by the physician, with incremental step-down of the drug over a period of one to two weeks. The length of time of the withdrawal depends a lot on which type of Xanax was misused. The time-released version tends to result in a longer detox period. During the detoxification, the withdrawal symptoms from Xanax drug addiction can be intense, commencing about 6-12 hours after the last dose. The medically trained detox team can assist with mitigating the physical and psychological discomfort by providing relief through various interventions. This helps ensure that the individual remain in the detox program until it is completed so they can then begin the treatment phase of recovery. 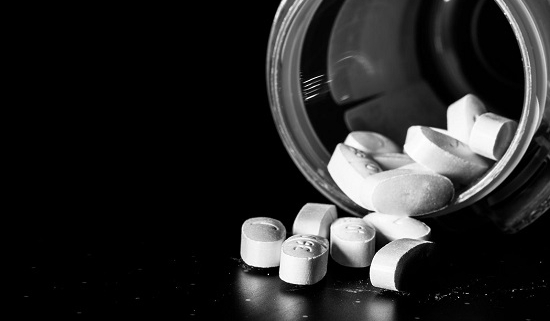 Individuals seeking help from a Xanax addiction may have a co-occurring mental health disorder. I a dual diagnosis is present treatment should be obtained from a rehab with this specialty of treating the substance use disorder and the mental health disorder at the same time. Treatment for a benzodiazepine addiction is highly concentrated on changing addictive thought/behavior patterns. The individual will learn new ways to respond to worry or anxiety that are productive and positive, instead of dependent on drugs. Cognitive behavioral therapy is a core treatment element that achieves this central goal of Xanax recovery. In addition to the therapy sessions, which are provided in individual and group settings, a program for Xanax recovery should integrate holistic activities that help the individual learn alternative ways to manage stress. These might include yoga classes, meditation, massage therapy, mindfulness training, equine therapy, and art therapy. Participation in these types of activities teaches the individual helpful practices to help them regulate the stress triggers as they occur. Yoga, mindfulness, deep breathing exercises, regular exercise all help in reducing stress and promoting relaxation. The mindfulness and deep breathing can be access anyplace at any time. 12-step programs, or any recovery group, provide the individual with important peer support. These give the person a safe, supportive place to share challenges and successes in recovery. Xanax dependence can be overcome with a comprehensive approach that includes a medical detox, rehabilitation programming that includes CBT and holistic therapies, and adherence to continuing care practices. Capo By the Sea, located in Orange County, offers a full spectrum of Xanax recovery services in an upscale environment. Providing a medically supervised Xanax detox program is the first step in breaking free from the addiction or dependency. Capo By the Sea closely monitors the withdrawal symptoms from Xanax drug dependency, providing a safe and supportive detoxification process. Following detox, the individual will begin the active treatment that helps fundamentally change addictive behaviors, as well acquiring key recovery skills and tools that help lead to a sustained recovery. Capo By the Sea uses an effective mix of evidence-based therapies and holistic activities to help individuals overcome the Xanax addiction, while providing luxury accommodations and amenities. For more information about the program, please contact Capo By the Sea today at 888-529-2114.